It’s time to put yourself first this Women’s Health Week! Women’s Health Week is the time to put yourself first, for just one week, and start making positive changes that can last you a lifetime. 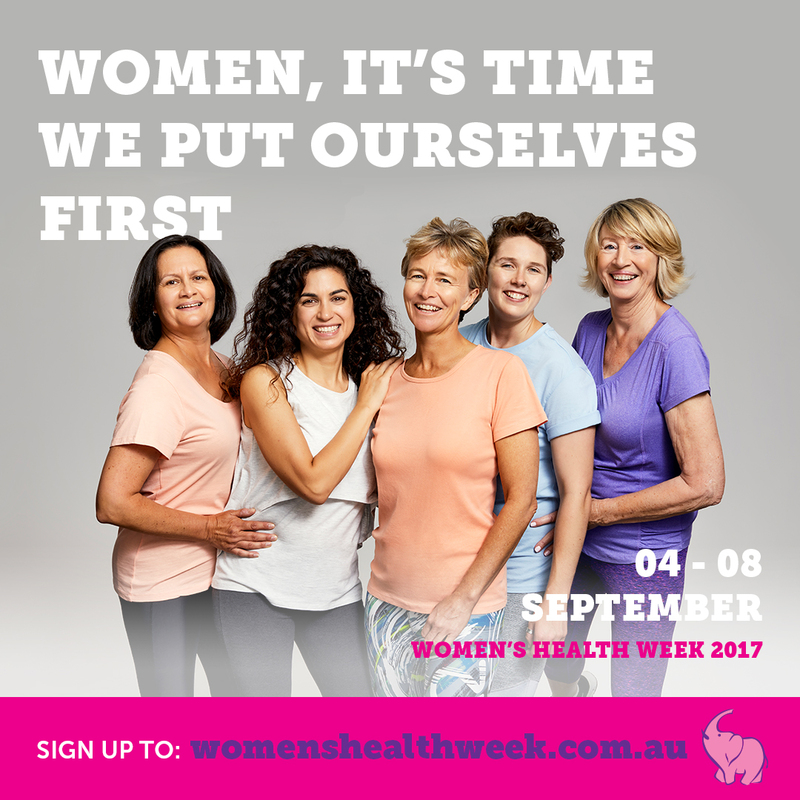 Support Women’s Health week by visiting http://www.womenshealthweek.com.au/ and get access to some great advice and resources about healthy living, links to women’s health events around Australia and the chance to enter a fun competition. At Your Health Hub we have a wonderful team of Medical, Allied Health and Complementary Therapy Practitioners who specialise in Women’s Mental, Physical and Emotional Health. We also offer some great classes for women at our Health & Wellness studio including Women’s Small Group Personal Training. Contact us on 6122 0150 to find out more about how we can help you today! It’s time support Women’s Health at Your Health Hub.